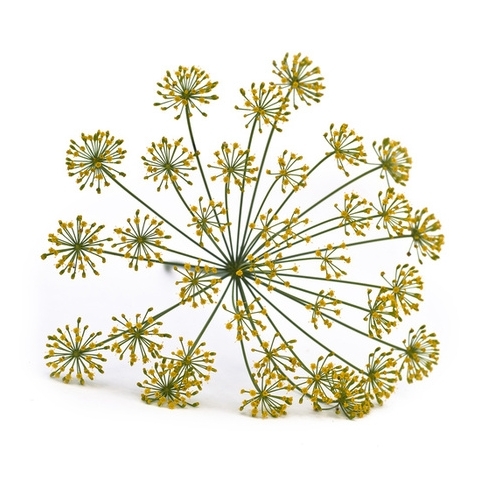 d i l l . . .
Why not try using dill's delicate flowers which are lovely with fish or vegetable dishes and add a divine flavour to omelettes and pickles. Very easy to look after, dill is a pretty culinary herb with feathery foliage and a mild aniseed flavour, grown for the leaves, seeds and delicately flavoured flowers. Sow: your dill seeds either indoors in trays or outdoors from April in prepared and fertile soil. Lightly cover with a little compost. Dill will happily grow in containers, on its own or as part of a mixed pot of herbs. Aftercare: thin seedlings to 20cm when large enough to handle. Other than that, just keep plants well watered to try to prevent them running to seed. Harvest: leaves from around 8 weeks after sowing. As long as you leave 3cm of growth, the plant will re-sprout. If seeds are required, allow the plant to flower, collect the seed heads in a paper bag and hang them upside down until the seeds fall. 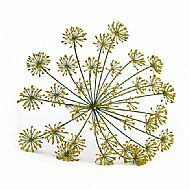 Tip: dill will self-seed if seed heads are not removed. 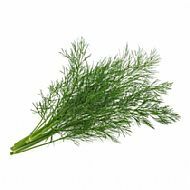 Tasty and aromatic, dill is most frequently used in fish dishes but is also delicious in curries and can add a pretty twist to summer salads. Dill flowers are also great with fish or vegetable dishes and add a divine flavour to omelettes and pickles.